Tips: Catch fish while guiding Waddell through tricky terrain. Catch red fish for a speed bonus and gold fish for extra points. Watch out for holes in the ice. Waddell will be too cold to collect fish if he gets wet too many times! I am not even considering this game. I like neither game. I don’t really collect trophies, anyway. I might try for the tulip trouble one, next go ‘round. Maybe, if I’m ambitious enough. I’m still ticketed our from chasing Hairy O’Pickle. prom is this weekend though, so I’m expecting 3-4 dozen teens overnight – i’ll have to load up on lots and lots of food! when do you want me to fly in and help cater? Oh my GOSH, a Catered by Dee function would be DA BOMB!!! On another note I opened my Jan and Febuary Deluxe boxes they were fine. I opened MARCH and got Curley WIG but NO MEDALLIONS !! NO RAINY TIERA , I OPENED every Cozy Condo box still not there. I called ESTORE they say Rainy Tiera not in promotion for March . I so dont want to miss out have I lost the TIERA I know these things only come your way once . I have boxes for 4 other Deluxe accounts to open kind of scared. I cant play mini chalenge for trophy my lifes far too stressed with children and hard times with them . Gosh I at least hope you got the Rainy Tiera . I have the raincoat to match tiera but no matching boots . Oh well another day. Thanks for all your help . MomT the rainy Tiara is APRIL’s deluxe gift! The curly wig is this month’s. Happy belated St. Patrick’s Day everyone! I meant to get on here yesterday to say that (minus the belated part of course)… It just wasn’t a very “lucky” day for me at all. I am CRACKING UP over y’alls comments on this thread! I looked at the trophy, and was like “Where is the frog on this thing?” Then I realized it’s the tiny, on-it’s-head green thing in the background of the trophy picture. Oh, boy… And good luck with 36 to 48 teens in your house moms! MomT – several of us have commented telling you that is the APRIL deluxe gift – hon, you need to read the comments! dee – YES! Send me a grocery list & lmk when your flight arrives!!!!!!!!!!! Totally, Otterkinz, a penguin oughta be the perfect pet to accomplish this task. Maybe that’s what I should do, too. Puma, thank you for the Happy Mail! I love surprises, too ♥ And thank you for the lovely gifts as well, Emma and Muffin! That was so thoughtful of you, hugs! 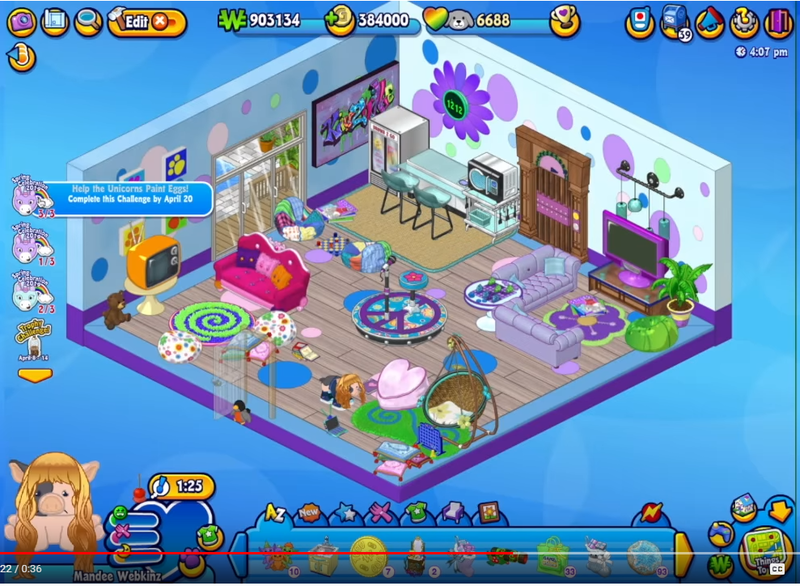 Dixiecup, congratulations on having your Wacky Celebration Room featured on WKN! What an awesome collection you have I love all things Wacky, he’s one of my favourite characters in WW! And yay, Miracle! Congratulations on completing your Zum collection! is there a theme moms or is it just food? pizza delivery of course……….i am assuming this is post prom? then you do not have to worry about gettting dirty………. Dixie, congrats! ! Saw your room on wkn last night!! Moms…omg, 40 plus kids?? Wow..I’m tired just reading about that! Good luck! Too bad dee, me and any others here who can do parties don’t live near..you’d have quite a gang of workers to help out if we did! As to the new trophy challenge..I can do waddles..no issues..the other game? I got 20 points. But no kc as it’s 25 points for 1 kc! Looks like I’m not getting this one. The game isn’t responding properly..it lags. I might try another browser..but if that don’t work..I’m giving up. Why oh why do they charge so much money to skip the harder parts so people who can’t do the game can get the trophy? I mean 10 dollars? Seriously? It’s not a deluxe challenge! Geesh.. really peaves me.!!! Dee I love your suggestions for flavored popcorn..recently found a powdered hidden valley ranch dressing that tastes great on popcorn..the guys love it..tried it just because and it was a hit. I love your vegan suggestions too..I’m always conscious of that because of my god daughter. But also because I have a bunch of diabetics in our families..and need healthier choices for c all of us. Dee, how would I make the Tabasco flavor??? We have a movie theater style popcorn maker, so I will definitely have it full of popcorn, but I didn’t think about making some to separate into flavors, too. great idea! ranch popcorn is so good chant! i had the vegans on my list with fruits & veggies, but i wasn’t sure what to feed them for breakfast that is vegan friendly besides fruit? i think i’m doing bagels, cheese eggs, breakfast meats, etc. any easy to serve vegan breakfast ideas? Oh good golly, so excited about finding a recipe that I think I want to try that I forgot to thank all of you for the compliments on my Wacky room. It was so funny when I was scrolling through the rooms and I saw my room there ‘HEY, someone stole my room!’ and then I looked … It was MY name on there It’s one of my favorite rooms. 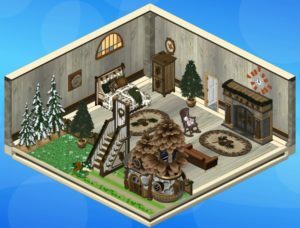 I have more wacky items to put in there since I submitted the room. But my favorite is the Zingoz Dunk trophy. dee – okay, imma need you to make those cinnamon rolls that dixiecup linked, so when are you arriving??? Nice that you have a popcorn machine moms! No ideas on vegan breakfast, other then what you said..there are vegan breads you could get for toast. But it’s pretty expensive. And not all brands are good..I had to ask my god daughter what to buy..been a couple years since then and I can’t remember what she told me..I helped her move to Florida and last time I spent time with her was 2 years ago when I flew down. OOO, Look at the spoiler info in Mandee’s room!! moms… You must have nerves of steel to attempt an overnight with so many teens ! Not to mention the preparation involved…Will be a treasured memory when the kids get older .. and look back on high school events ! DixieCup… Wacky is one of my favorite characters in WW ! Congrats again ! 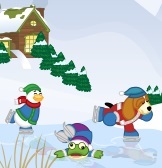 Love the frog in the above picture … made me laugh ! Hope you all have a great day….Good Luck moms..
believe it or not, some of the store brands of cinnamon rolls are vegan……. I wll try to google to see what brands i can find..
why do we have a floating lucky leprechaun cookie on WKN the week after St. Patrick’s day??? dee – that’s the site i always use to verify vegan – yay! i did not know about the wack cinnamon rolls, though, so i’m going to read labels! since i only have to feed after party snacks & breakfast, i’m happy with whatever makes my life easier! gaga – i’m kind of insane to allow it, but i did because i think they will have so much fun and such good memories – we’ve made it really clear that we want them to have a blast, but this is not the party to come to if they want to “party” – pray they don’t test me! just pop your corn, but it in big bowl and add tabasco or whatever sauce to it…….do not overdo…….kind of like butter. can use buffalo sauce too………..wherever your mind takes ya! Here’s a tip for the lil spring unicorn challenge that I just discovered…before you feed your pet the rainbow gumball (of which you have to feed your pet three), make sure the hunger meter is at 100%. Then attempt to feed your pet the gumball. The pet will say it’s full, but you still get credit for feeding the gumball. You can do this three times, the challenge requirement is fulfilled, and you get to keep the gumball! Bonus: you don’t have to go to the clubhouse three times to get a gumball, you only have to go once. I managed to do the Iceberg Escapades part of the trophy challenge quickly, but oh lordy do I hate the Waddell’s Icecap Adventures part. I played seven games and only got halfway through the 260 we need to earn. Ugh!!! I’ll do the other half tomorrow, and then I’ll go back to pretending this game doesn’t exist. Ugh, I just typed a whole comment that got eaten. Can somebody please go fetch it from the spam bin? Thanks! dixiecup – mandee’s room has a lot that i don’t recognize! TLL – what a GREAT tip! i only fed mine on my main today, but i’ll be able to use it from now on!!! Woo, am *I* out of the loop on Webkinz! I ACTUALLY forgot to log in on Saturday for the Sauna! D’oh! I logged in on my phone to spin the wheel, and saw the notification, but didn’t get on the desktop version the rest of the day. I need to check out what this unicorn thing is. Husband has gotten me into the Transformers fandom (yup. Like the 1985 Transformers toys. The very same. ), so I’ve been reading through a backlog of comics online in the evenings. Kiddo isn’t napping anymore, so my days are busier, and I’m pulling together our spring homeschool curriculum too- birds, butterflies, bumblebees, flowers, gardening, seeds, strawberries! He’s also hooked on the Annie musical. He’s even asking to be called Annie instead of his name! <3 Bugaboo. Word of caution, Moms, DON’T put your pet to bed BEFORE you feed it. It will keep eating whatever you feed it and the hunger meter goes down. Feed your FULL pet in its awake state. dixiecup – ah! that’s what i did wrong on the 2nd account! thanks!!! thanks so much TLL & dixiecup – i sent over a gumball from another account, got my pet out of bed, fed it until it said it was full, then tried to feed the gumball until that part of the challenge was complete – yay!!! Just checked Deluxe Wednesday and these cute items are up for us to nab for FREE!! Happy Spring !! First day of Spring arrives today…. Lurker … thanks for the gumball tip… saves a trip to the clubhouse..
gramma… good morning ! early morning best time for me to do WW ! enjoying my coffee and trying to get all the WW activities done before heading off to work. moms.. hope all of the preparations for your big weekend are going well..
Hope you have a good day ! Happy Spring to you too gagagee!! and everyone!! Wishing all a great day!! gaga – i hope you have a great day today! i know you’re probably already at work, but hopefully you’ll see after that i was sending good vibes! Moms, I’m thinking the alternative to your party is not a choice you would even be remotely comfortable with. My kids were all in the same age range. I had 4 teens at once in my home (who were mine) and various others who came and went. My house was always filled with noise and rambunctiousness and the smell of home baking. If I wasn’t baking or cooking, I was cleaning (yes, they cleaned up after themselves in a fashion). I always felt more comfortable having the kids and their friends in my home because I knew exactly where they were. It’s a small price to pay for the short time they are with us. When they’re all gone out on their own, the house gets quiet and sad. and they didn’t ask to get hotel rooms – that is way scarier than a party at my house! 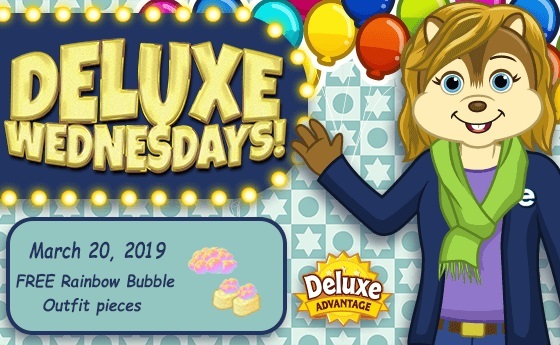 Like Dixiecup said – DELUXE people be sure to get your FREE DELUXE WEDNESDAY Rainbow Bubbles Hat & Soap & Sponge Shoes!!! the lightning bugs & grass are being added to the Deluxe prize machine! gagagee – it’s a tribute to you finding us!!! moms, the tetra terrain meadow tile was originally from the Zootopia promotion, but then it (and the other 3 Zootopia tiles) were placed on the Wheel of Wow, if I recall correctly. Glad my tip helped some peeps! I can’t remember where we got the tetra terrain meadow and other tiles. So I am no help. Congrats on reaching 8 KC on escapades game! I finally reached 5 KC on my dd’s account. Finished escapades for her, but have a long way to go with the Waddell’s Icecap Adventures. Need to do my account, too. But not much time to do it. Does anybody know what the next step is to the Spring Challenge Celebration? It looks like a tight squeeze. It took me forever to see the frog in pic above, but the enlarged pic helped! I’d be the frog, too. Congrats to Momskinz for reaching 8KC! Forgot to put a name. I’ve had a lot of kids in my house spend the night, but never as many as you, Moms! Good luck! 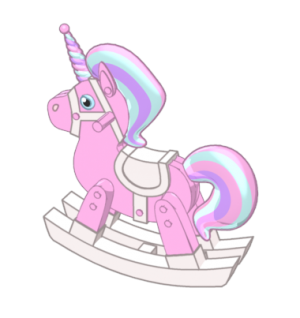 There is no way to speed up the unicorn challenge in relation to the wishing well wishes is there? I mean, that is something you have to do daily! If I started today, will that mean I won’t be able to complete the challenge? gaga—Stella is doing great! She’s healed up from the spay and the rash in her ears is gone…Whoo hoo! She was 5 months old yesterday and has been super lovey dovey. I feel a little like Puma right now…she stopped taking long naps in the morning. I feel like I spend all day chasing after her! I took her for a walk yesterday and she just wasn’t having it…something would catch her eye and she would jerk one way and then another. The puppy class has us with the leash in one hand and treat pouch on the opposite hip so you can treat her and teach her to heel. Nope. She just ran around me like a crazy pup. Must have been hilarious to watch! We have some minor flooding in our area, but nothing dangerous thank goodness. Other parts of the state are flooding pretty bad. When does your nephew hear about his college choice? moms—We all know you are super moms, but now you are super duper moms! That is so awesome you are having all those teens overnight for prom. They will have the best memories! And YAY for bagel bites and pizza rolls! Makes things so much easier. dixie—Congrats on your wacky room being featured! TLL—Thank you for the gumball tip! That is going to save me on the rest of my accts. not having to go to the clubhouse 3 days in a row. Miracle—Congrats on the last zum! I still have 4 or 5 more to go and you give me hope! I don’t think I’ve ever played the Escapades game. Took me a few games to get the hang of it, but I completed that part fairly quickly. Adventures is another story. Only time for one trophy on this one. Hello to all and yay for Spring! TLL – i could not find it! now i’ll see if i have any of those leftover zootopia boxes anywhere – thanks so much!!! update: JACKPOT! i evidently didn’t open them on a side account – there are dozens of boxes – yay!!!! Thanks so much TLL!!! i’m so happy! i got all 3 of the tiles I wanted for this room I was decorating – yay! Dee thanks for pocorn tip! I finally found a browser that I coukd do the ice game on! So at least one trophy will be mine!!!yeah!! Well, I figured if Chant can do it, I can do it, so I set about to sort out what I needed to do to get that Iceberg game tackled. It’s very similar to the Golf game and the Lily Pads game. The jump/aim is lily pads, the twist/aim is Mini golf. So, combining the two I was able to figure out Icebergs and I was only getting about 2 KC per game with a top score of 80 points, but I got the 35 KC fairly quickly, if not uncomfortably. The Waddell’s Ice Cap wasn’t as easy. But those wretched walruses pull your gauge back, so avoid bumping them, they decrease your score and prevent you from filling your bar before the timer runs out. So avoid them. I am hopeful that eventually he will make a choice and things will work out..
we are all trying to be upbeat and supportive..